Visitors to the Garden Route in South Africa can enjoy stunning scenery, beautiful coastline, indigenous forest, African wildlife encounters and of course quality accommodation in Garden Route country hotels and estates. Adventure-seekers, honeymooners, golf-enthusiast, families and nature-lovers will find the right Garden Route country hotels and lodge estate accommodation for their needs. This is definitely one of the most beautiful regions in South Africa. It boasts rich biodiversity, golden shores, mountains, forests, valleys and charming little coastal villages. These selected country estate hotels vary between historic old farm houses, 19th century mansions and 21st century architecture. Garden Route Country Estates serve as the perfect wedding venue or honeymoon retreat. Relax and explore this South African treasure, enjoy wines in front of the fireplace, take a stroll through beautiful gardens and sleep in comfort. Friendly and professional staff as well as high quality services and facilities together with amazing scenery will make your wedding or romantic Garden Route getaway in South Africa unforgettable. 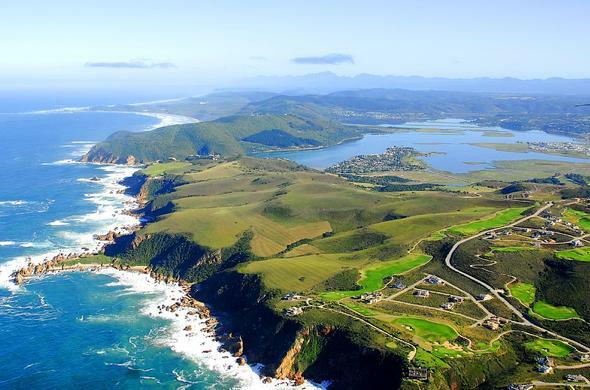 The Garden Route in South Africa, stretching between Cape Town and Port Elizabeth, offers a wide variety of leisure and adventure activities. Country hotels along the Garden Route put you on the "door-step" of your next exciting activity. Enjoy Whale watching, quad biking, diving or horse riding. There's the Cango Caves and and ostrich farms in Oudtshoorn, the Wilderness hiking trails and beautiful beach as well as mountain biking through Tsitsikamma forest. The Garden Route offers country hotels that are luxurious and stylish with all the modern amenities to suit your individual needs, requirements and tastes. More often than not you will be choosing Garden Route hotel accommodation as close to where you want to to go play a round of golf or just relax.